James Towler is an award winning mixer, producer and engineer. 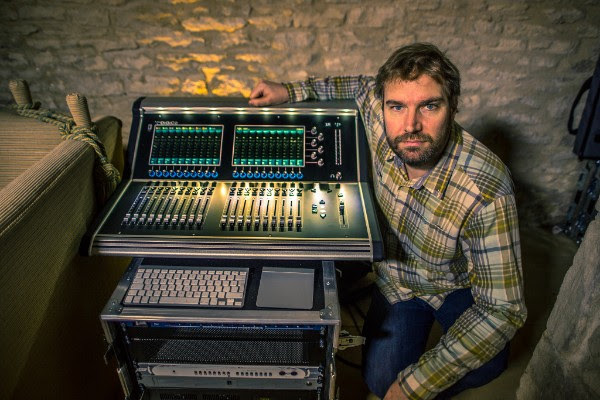 He has worked with Steve Winwood for the past 19 years, both as his live and studio engineer, and is manager of Winwoods’ Wincraft Studios in Gloucestershire. At the end of last year, he invested in a DiGiCo S21 mixing console, which he purchased through HD Pro Audio primarily for live performances, but he has found it just as useful in the studio. Towler took delivery of his S21 in November and it has been residing in the Wincraft Studios ever since, and is used at least once or twice or a week. “It’s a slightly unusual place to use what is primarily a live console, but the routing on the S21 is fantastic in the studio,” he says. “And the functionality and simplicity of the desk is great. I’d used DiGiCo’s occasionally on various tours, but not in any great depth. I’ve found it really easy to use and very fast to get to know. One thing I particularly like is the Gate feature for keying, which is fantastic, but the thing that really makes it stand apart from other consoles is the graphical representation.